More and more, landlords are requiring that their residents obtain renters insurance by the time of lease signing. And, it’s for good reason. Time and time again, we see that a lot of renters slip through the cracks and don’t end up enrolling in a renters insurance policy until it’s too late. Why? Many renters assume that their landlord’s homeowners insurance will cover the damage when disaster strikes. 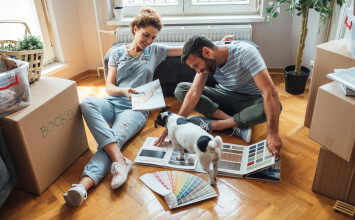 With this guide, we’ll demystify a few common misperceptions about what renters insurance is, what it covers, and why signing onto a new policy is truly a no-brainer. MY LANDLORD WILL COVER THE DAMAGE. False. Many renters assume that in the event of damage or disaster, their landlord’s homeowners insurance would provide coverage. Unfortunately, many renters learn the hard way. Simply put, homeowners insurance only covers structural damage to the property, not damage to your personal property. Your renters insurance policy covers your personal property in the event of damage, loss, theft, and in some cases, good old Mother Nature. For example, if the leaking ceiling in your living room finally gives way, your landlord’s homeowners insurance would only cover damage to the physical structure of the property, such as the ceiling and floors, not your soggy couch. I’M NOT RESPONSIBLE FOR DAMAGE TO OTHER PEOPLE’S STUFF. False. Most renters insurance policies also include some level of liability coverage. Meaning, if your bathtub leaks down into 11B, damaging your neighbor’s prized entertainment center, you wouldn’t be liable for all of the damage costs under your renters insurance policy. Let’s walk through another example. Suppose a friend’s helping you move a heavy piece of furniture into your new apartment. If they drop the table on their foot and need to visit the hospital, your renters insurance policy could cover some of their medical bills. In other words, a renters insurance policy also helps protect you, the renter, against accidents that occur on the property you’re renting. False. Unless you’re an art collector or otherwise require high coverage, your out of pocket expenses should be relatively low. On average, renters pay between $15 and $30 per month on renters insurance. Most policies, however, do have limits on the amount of protection that you can claim on items like jewelry; if you need coverage for your super-size jewelry collection, you can always purchase a rider, or an add-on for additional coverage. Better yet, you can often bundle your renters insurance selection when you choose other insurance policies, such as automobile insurance, to lower your monthly premiums. HEY, I’M NOT A FINE ART COLLECTOR. MY STUFF ISN’T WORTH THAT MUCH, SO I DON’T NEED PERSONAL PROPERTY COVERAGE. False. Simply put, all your belongings are probably worth more than you think. Allot some time to take inventory of your belongings, and you’ll find that it’s in the thousands of dollars. Do a back of the envelope calculation of what you paid for your mattress, your dining room table, your racing bike, your laptop, grandma’s china, and the entertainment center in the living room, and you’ll be surprised how much your belongings are truly worth. 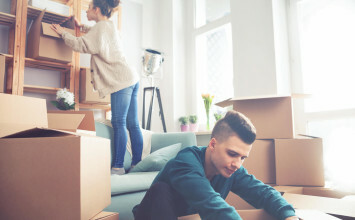 Even if your belongings total on the lower side, most basic renters insurance plans cover up to $30,000 worth of property coverage. WHY PAY? MY POLICY WON’T REIMBURSE ME IN THE AMOUNT THAT I PAID FOR THE DAMAGED OR LOST ITEM ANYWAY. False. Well, the real answer is that it depends. There are two types of renters insurance policies you can select - Actual Cash Value and Replacement Cost value. In the first, your policy would reimburse you based on the age and state of the damaged or stolen item. For example, if your boombox circa 1999 was damaged in a fire, you’d be reimbursed based on its current value, not what you paid for it when boombox’s were all the rage. If you select a Replacement Cost value policy, however, you’ll be reimbursed for the item based on its present market value. Naturally, insurance premiums for the Replacement Cost policy are typically higher. So, why not sign on? It’s a low startup cost, and it’ll protect your personal belongings should disaster strike. After all, no one likes a wet couch… or paying for the replacement.